Recorded live at unerhört!-Festival Zürich, November 25, 2011 by Martin Pearson for Schweizer Radio und Fernsehen. Edited by Christian Weber and Dieter Ulrich. Mixed by Martin Pearson and Willy Strehler, October 2012. 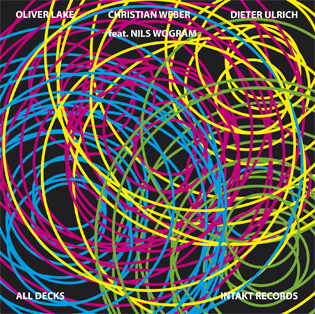 Cover art: Niklaus Troxler. Graphic design: Jonas Schoder. Liner notes :Christoph Wagner. Foto: Francesca Pfeffer. Produced by Intakt Records, Patrik Landolt. ﻿Nach der ersten, äusserst erfolgreichen Trioplatte LAKE-WEBER-URLICH «For a Little Dancin'» folgt die Live-Aufnahme vom unerhört-Festival 2011 in Zürich mit dem sinnigen Titel «All Decks». Als Gast dabei ist der Posaunist Nils Wogram. 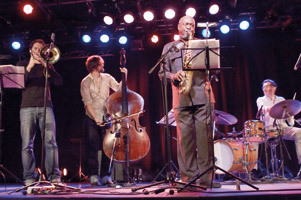 Der Jazzjournalist Christoph Wagner, der das Konzert miterlebte, schreibt in den Linernotes: «Hellwach, mit grosser Disziplin und einem ausgeprägten Sinn für Dramaturgie erhöhen die vier die Spannung und steigern die Intensität je nach Bedarf, um dann vielleicht nach einem mächtigen Aufbrausen urplötzlich in ruhigeren Tönen zu versinken. 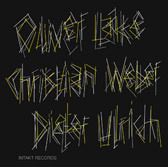 ﻿After a first successful studio recording of Oliver Lake, Christian Weber and Dieter Ulrich «FOR A LITTLE DANCIN'» (Intakt CD 172) follows a live recording at Zürich jazzfestival Unerhört 2011 with guest trombone player Nils Wogram. Christoph Wagner writes in the liner notes: «Wide-awake, highly disciplined and with a pronounced sense of theatre, these four musicians increase tension and boost intensity as required: one minute a powerful flare-up, the next a descent into more peaceful tones. Thus the music opens up an imaginative space, building a bridge not only across the Atlantic, but also between white and black culture and across generations.